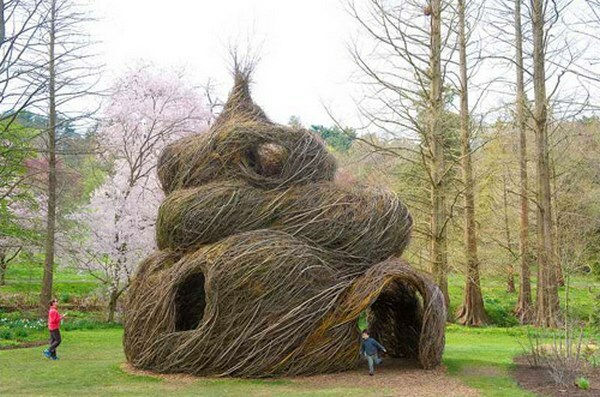 The people who are lucky enough to experience sculptures by Patrick Dougherty should be thankful that as a child he probably never listened when he was told not to play with sticks. 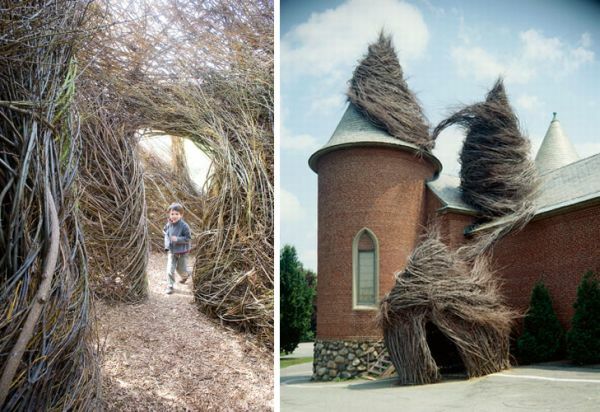 Dougherty combines carpentry skills with his love of nature and interest in primitive building techniques to create massive installations from willow, dogwood, maple and birch sticks. 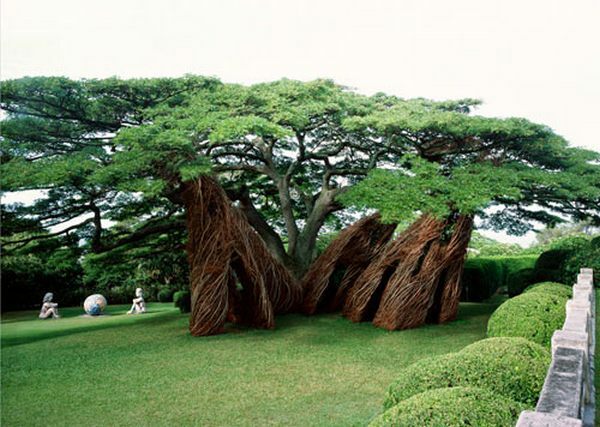 He has built more than 200 sculptures all over the world from Hawaii and Japan to Scotland. 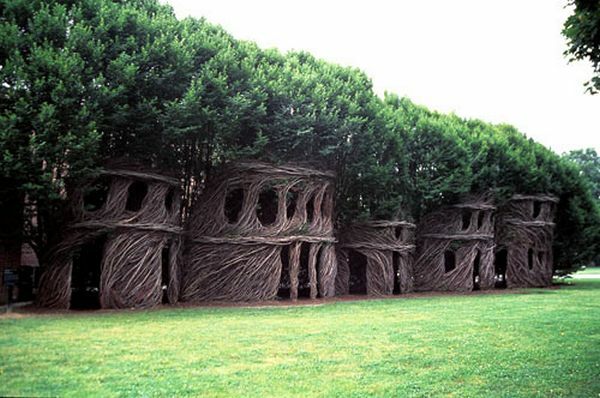 Many of Dougherty’s sculptures are in public parks, gardens and museums. Most recently The Summer Palace was created at the University of Pennsylvania in the US. No nails or glue were used to hold the eight metre high ‘palace’ in the university’s Sculpture Garden, which took 75 volunteers 19 days to help build. The result, like Dougherty’s other works, is truly fascinating. I can only imagine how magical children would find these amazing sculptures. They certainly give a new perspective on play spaces – I only wish Dougherty would visit Australian shores and try his hand with some lemon-scented gum branches.